Freelance writers want to make money! And it’s so exciting when we start finding paid work and the money starts coming in. On the blog, we’ve tried to cover lots of ways to make money as a freelance writer: from getting legit writing jobs and pitching new clients to the different ways you can make money as a freelance writer and making sure you know about some awesome side-hustles. 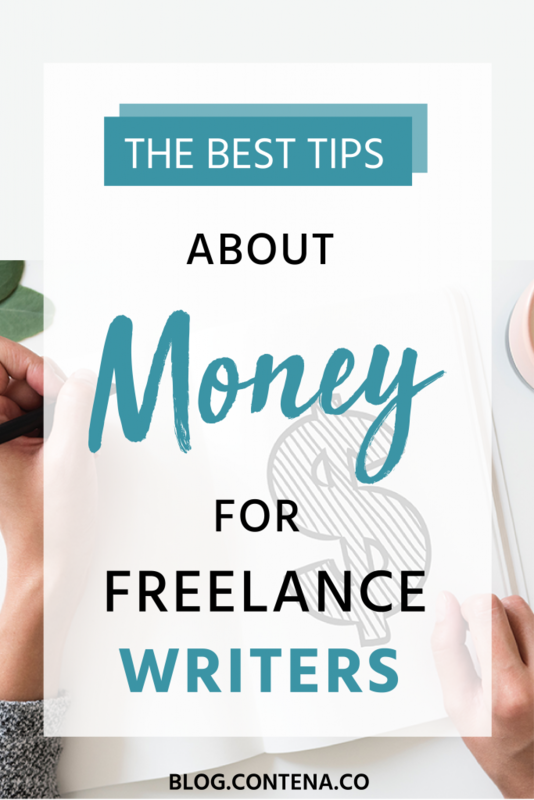 But- we also wanted to make sure that we covered some ideas for how to make the most of that money that you do make, and share tips for your finances as a freelance writer. And who better than to give us some advice? Tiffany Connors, Staff Writer with The Penny Hoarder (yes! THAT Penny Hoarder!). 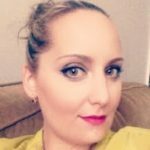 Tiffany is a jobs and careers expert, so we thought she’d be the perfect person to give us some tips on managing money as a freelance writer. It’s also important to remember (especially for the newer writers), that you might feel great about a rate you’re getting paid, but when you factor in all of this: taxes, insurance, self-employment taxes, etc. you might not feel as good about your rate. Remember that not all of the money is coming home to you! And while it’s easy to say, “I want to make more money” or “I’ll work on getting more clients,” sometimes that takes more time than we’d like. It’s important to make the most of the money that we have (and that’s also true even when you’re happy with your income!). The first tip is that there are two people you have to pay. First is the government, so make sure you’re set up so that you have the money set aside for taxes, because if you just put aside savings and you don’t put aside money that you know is going to go to the government, your savings is just going to dwindle very quickly. The second person you pay is yourself…If you don’t put paying yourself in the budget, you’re going to come up with a hundred ways to spend that money. How do you make sure you pay yourself? Tiffany says: Get tricky. Make a tip jar and every time you get paid by one of your clients, give yourself a tip. If you’re earning $200 an article, you give 10% ($20) into the tip jar, automatically. Just having it out-of-sight, not immediately ready to use is a way to trick yourself into savings, whether it’s a jar or another account, set it up so it’s automatic…. You can use “set it and forget it” apps like Stash or Acorn where you’re automatically saving. And if you want to get paid, you need to make sure you’re staying on track of invoicing and payments. You’ve got to make sure that money is coming in! Tiffany says, set yourself up for calendar reminders…every Friday at 2:00 I invoice, or every Friday at 3:00 I send reminders to all of my clients who haven’t paid yet. You come up with your own invoicing system but you have to do it. Aside from the obvious: get hired for more writing jobs and finding higher paying writing jobs (because we know you’re already working on that), we asked Tiffany for tips about making more money as a freelance writer. One of the ways we’ve found freelancers can make more money is work-from-home jobs. There are some great side-hustle jobs. Maybe you can find an overnight shift working a call center. Is it the most glamorous job? No, but some of these jobs are giving benefits, so if you’re doing a job at night and earning benefits, that frees you up for a lot more of the money that you’re earning as a freelancer to just go right back to you. Sometimes with freelancers it becomes this idea that if I’m not 100% freelancing, I’m somehow failing, but you’re not a failure. There are slow periods- maybe through the holidays you’re not going to get as many jobs so maybe that’s when you go into a retailer and get a holiday side-job. So, you get a job for three months, save up the money, then after the holidays, start ramping up your freelancing again. But, if you’re determined to stay focused on writing, or be “writing-adjacent” with the work that you do, we wanted to know what Tiffany would recommend. Most writers have their thing that they like to do. I’m a journalist- that’s my thing. But I do side-work sometimes in marketing. I took a Google AdWords class and figured out how to do more SEO and maybe that’s what you need to do- going into a program and getting a certificate in SEO and being able to leverage that into another additional position besides just writing- I can edit this for SEO, I can optimize your site. Or if you get good at WordPress, setting up people on their website for a smaller company, that can be a big help. We’re not trapped at a desk or in an office all day, every day. We have flexibility. But that also means we may fall into certain spending traps. Mine? Starbucks (Ahh, Starbucks!). I’m more productive here (I say here, because I’m writing this article at Starbucks!). So, I’m at Starbucks regularly. Which means I’m productive, but I’m also spending more than I’d like to admit on chai lattes. I asked Tiffany what else freelance writers can do to help curb spending. There are definitely lifestyle changes that you can make- again, these can be short-term. You got Netflix, HBO Go, and cable? Maybe you can cancel one for 3 months or pause on the gym membership: if it’s nice outside, go for a walk instead. One of the things I used to do was adjusting your thermostat. If you adjust your thermostat, I think by 3 degrees, it can save you 30% on your energy bill. So just making that cut and understanding that this month I wear a sweater every day when I’m working from home. And if you’ve got the high-speed internet at home, there’s no need to go to Starbucks [I know, Tiffany, I know!!]. Sometimes it’s just little things like that. With the short-term money management, is not banking on money that isn’t in your hands- by building a little emergency fund. The experts say to have 3 months to cover expenses, but if that’s unrealistic, having $100 dollars or extra money to pay the rent, or simply having some extra money aside so you don’t have to rely on credit cards or get into debt when that printer breaks, that’s a big part of it. Obviously you’re going to need to speak to an expert to figure out what’s best for your situation and particulars, but while I had Tiffany on the phone, I had to ask about this since freelancers no longer live in the world of automatic 401K deductions (that means bye-bye company matching too!). Retirement is one of those things you don’t necessarily think about, but set up an IRA and do it now- stop putting it off. You can max it out every year (talk to your financial advisor to figure what’s going to work for your and how much you can contribute). Health insurance: if you’re getting that high-deductible health insurance plan because you’re a freelancer, look into a health savings account (HSA). Check with a pro, but your contributions might be tax deductible, and your contributions can roll-over from year-to-year. So, you’re not only setting yourself up for money that you can use for health reimbursement, but even in retirement, you can use that account, so you’re setting yourself up in two ways. One other thing I would highly recommend for freelancers, for long-term, is setting up a Limited Liability Company. An LLC is a business structure that protects you in case there is a lawsuit against your freelance work. Nobody wants to believe that’s going to happen, but it does. So just protecting yourself, your assets, your car, your home, whatever you have, is important. You can talk to a lawyer about setting up an LLC. For the writers, when you’re getting started, it’s easy to look only at what’s going on that month or that week, but as you go along, I would at least start to notice trends in your year-to-year. So if you’re a writer for the holidays, you’re getting busy in August and September and it’s uneven work, and even if you have regular clients, there’s going to be dips; see if you can budget that. Seeing that big dollar sign in September is awesome, but either use it to pay off things, make that car insurance payment- make it every 6 months because you know that’s when your big payments will come through- or that’s the time you’re setting up an automatic deposit to your savings account so that you don’t touch it. Because it can be really easy to see it, spend it, and then really suffer for it because you didn’t save. These are some fantastic money tips for freelance writers from Tiffany Connors from The Penny Hoarder. When it comes to money, it can often feel like there’s not enough of it (or that you’d like more of it). While we want you to be able to make more money, we also want you to make the most of the money you’re bringing in!